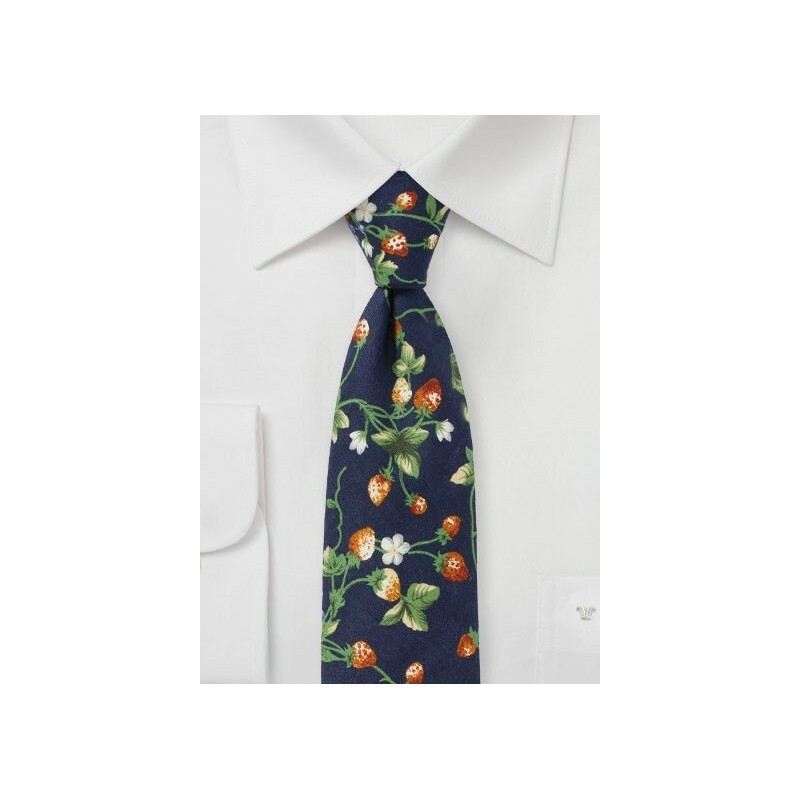 This fun patterned summer tie features a classic navy blue background that is imprinted with an unusual strawberry design. 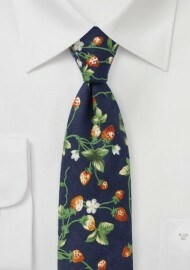 A fun summer tie that can be paired with suits, but perhaps even better when just worn with a white or light blue linen shirt and a navy or tan linen vest. Made by hand from printed cotton fabric by neckwear brand PUCCINI.